A tip for those who are going to India for the first time. Unlike in America or Europe, in India the cities when the bigger, the uglier and prove your worst travel experience and mistakes your opinion of India. India is a country still very rural (80%), and the truely experience of the culture is in the villages and small towns. It is a sad mistake to go to India and see Calcutta-Delhi-Mumbai-Madras. It will be a horrible trip! The ugliest city is Chennai (Madras), then Calcutta (Kolkata) not recommended if you are not going to work voluntarily on Mother Teresa. Delhi has its spots and all of them are from Muslim or British old times (Grand Mosque, Red Fort, alleys of Chandi Chowk, Humayun's tomb, Kutub Minar) (Connaught Place, India Gate, Parliament, the diplomatic district) But Delhi generally is not pretty, only a few areas remote one from each other. The old center is a Muslim and therefore totally neglected, dirty and dangerous (at night). Mumbai (Bombay) is perhaps the cleanest "" modern of the four. Mixing colonial buildings (next to Maidan cricket) and people are better dressed than the rest of India, there is more money here. Is New York (not visually) of India. There are medium-sized cities (1 million) more enjoyable and have more to see that the four capitals, for example: Varanasi (Benares), Jaipur (Rajasthan), Chandigar (the ideal clean city of Le Corbusier, expensive sleeping), Shimla (the city on the mountains old-British fashion). As a four very different examples. But surely calm and peace, along with rural charm makes small towns and market towns idyllic places where one gets the best walking and enjoying impressions: Examples are Kajuraho or Bodhgaya, Pushkr or Jaisalmer, Ramjula (Rishikesh) or Baghsu (McLeod), Old Manali or Gangotri, and many others that you will be told by chating with other travelers on the trip. The Lp is almost perfect (in terms of maps, accommodation addresses, prices, etc) also there is no need to go to eat where you read, because it's ridiculous to not look at least a place to eat by yourself. The great failure of the LP is that writes more pages to cities based on their size, not according to their real importance, not merely speak of the nice places, but about everything. Even mentions and explains with maps many cities that no traveler would ever visit. Too much information confuses travellers who decides to plan to visit the wrong ugly places. Just because Lp dedicates four pages to a place doen´t mean it worths a visit, while small towns descrived in only half sheet can be marvellous. It is an Error. First Tip: There are wonderful states where each people would stop and states would pass without stopping. The extreme example is Rajasthan (wonderful in every corner) versus UttarPradesh (Varanasi alone would stop the rest is horrible). 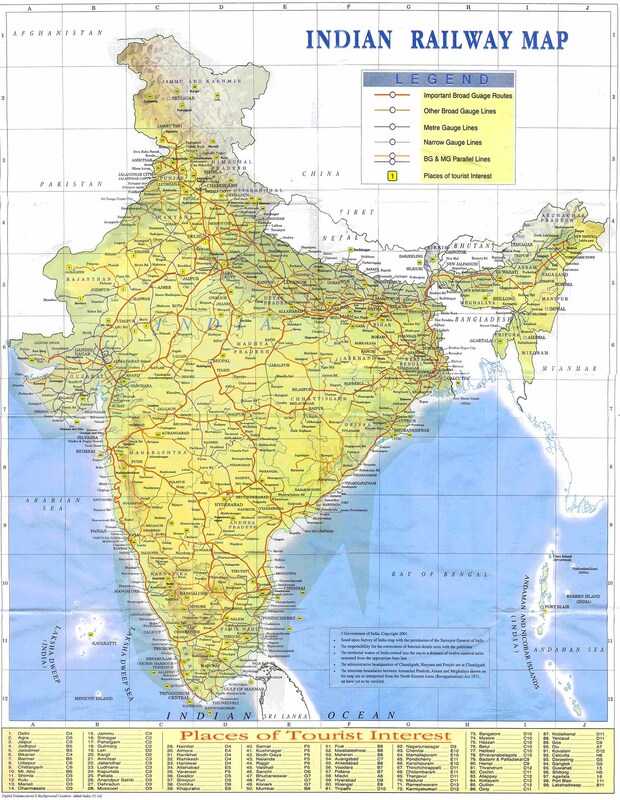 Precious States: Rajasthan (Number 1), Madhya Pradesh (for those who are going for the second time and small group), Uttaranchal and Himalchal (the green mountains and forests of Cedros tigers), Ladakh (the mysterious little Tibet), Goa, Karnataka, Kerala.